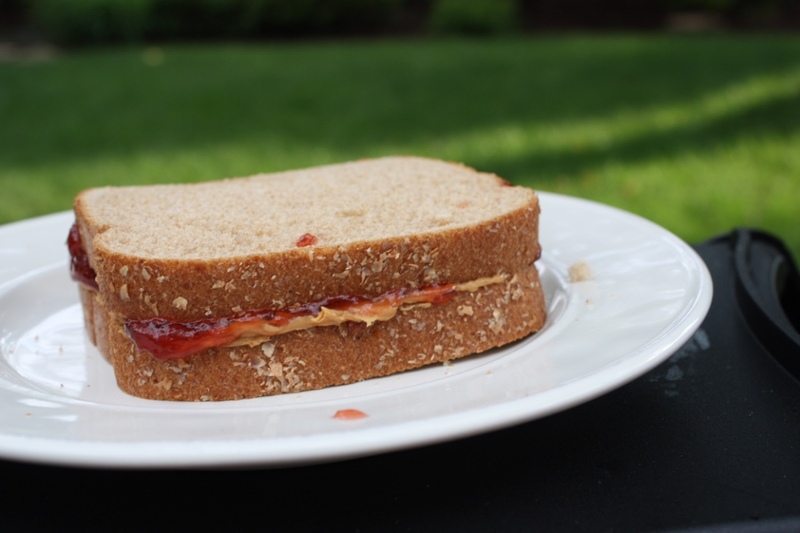 Let’s go back to one of the greatest lunches of all time—the peanut butter and jelly sandwich. Although some people’s passion for the quick and easy combo of peanut butter and jelly may have died down throughout the years—my love for PB&J remains high and mighty. If you are like me, I’m sure you snack on peanut butter and jelly quite often. However, if you have distanced yourself away from the sandwich, I am here to bring it back! …and with a twist! After you slab on your PB&J throw that sandwich on the GRILL! Grilling your PB&J is a quick and easy way to create a fast meal during the busy college days while introducing your taste buds to flavors you didn’t think your high school lunch’s pastime offered. There is something about that warm creamy peanut butter on bread grilled to a perfect crisp that keeps me coming back for more. 1. Once you have your 3 ingredients, preheat the grill to about 350 degrees Fahrenheit. If you have not cleaned your Q be sure to vertically brush the remains from any previous meal (you don’t want your peanut butter and jelly sandwich tasting like the shrimp kabobs you grilled two nights ago!). 2. Then place the your two pieces of bread on a plate (I suggest you refrigerate the bread previous to creating the sandwich). Spread the amount of peanut butter you would like onto one slice of bread. Do the same with the jelly on the other piece of bread. 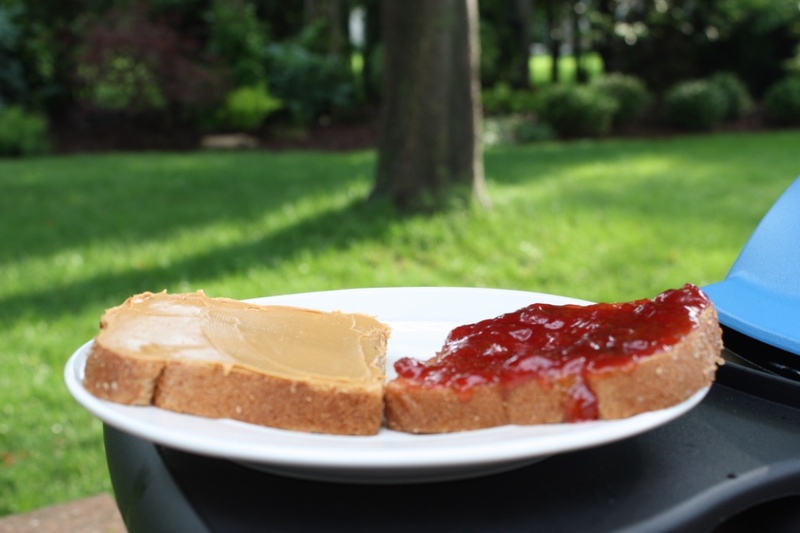 Once you overload the left slice with peanut butter and are extra generous with the jelly on the right, introduce the peanut butter to the jelly so both slices are stacked with the peanut butter and jelly touching each other. 3. Then place the sandwich onto the grill. Let it grill for 3 minutes then flip and grill for 3 more minutes on the other side. 4. 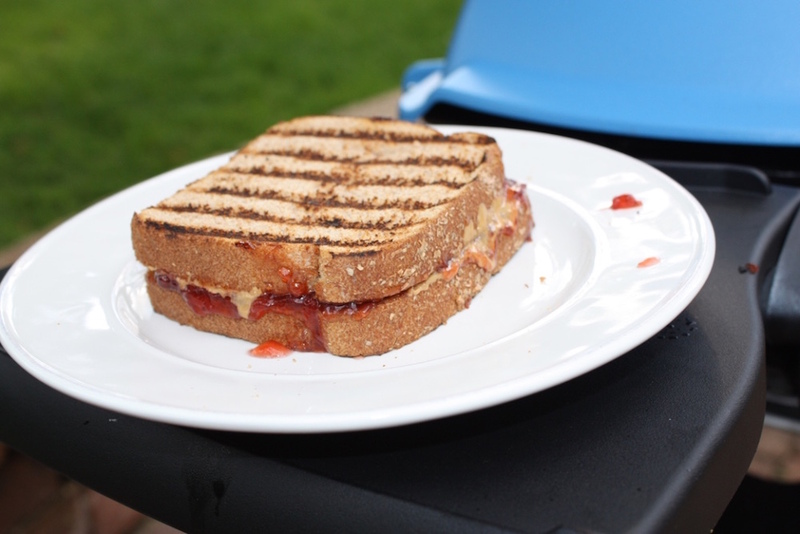 Use a spatula to remove the mouthwatering PB&J off of the grill onto a plate and let it cool for about a minute or two. It doesn’t take too long to cool, and I personally think the grilled PB&J is best when it is nice and warm soon after it is taken off the grill.